Quote: "FOR more than 25 years it has offered a sanctuary for vulnerable people suffering from mental illness in Southampton. Many credit it with saving their lives, providing specialist support groups that have steered them through their darkest days. But now many fear that the loss of Bedford House which will close today will leave the mentally ill stranded and isolated and could put fragile lives at risk. The mental health day care centre, in Amoy Street, will close its doors for the final time following a decision by Southampton City Council bosses to axe services there in a bid to save up to £800,000 a year. The centre ran numerous workshops and support groups every day, with mental health professionals on site to offer specialist care when needed. I've been a "user" of this facility (as-was), it was purpose built so what do they intend to use it for? Anything that makes money in this land-hungry, property exploiting "BENT" city (when the "Transitions Towns Initiative" was not being applied on the estate I moved to -re: re-development of central "communal" area-, I asked some questions even receiving the most important part of the information I needed on the "whos" and "hows" unsolicited from a Prospective Labour Councillor on my doorstep -having already mentioned it to John Denham M.P myself-, I have put our "suspicions" to our local council and The Police). Every type of landlord in this city (be they; private, co-operative, housing association or Council), are in my experience and to the "best of my knowledge" "bent". Quote: "The 2015 General Election, is our chance of getting the next government to take mental health seriously and help those of us living with mental health problems get the support we need to recover, stay well and lead fulfilling lives. Join us and take action. Read our manifesto. Email it to your local MP. It used to be possible to refer yourself to MIND advocacy if you had a problem with your treatment NOW you have to be under a National Health Service practitioner (be they psychiatric, psychological or psychotherapeutic), BEFORE they can support you. What this means is that if you have been refused treatment for whatever reason (or have refused it yourself! ), you can no longer be represented by a MIND advocate, a change in policy dictated by government and "caused" by austerity. Those of us fighting have been massively disenfranchised, do help put the pressure on. Quote: ""Say "N.O"! U.K Government in Breach of U.N Convention on the Rights of People with Disabilities"
“Support for disabled people is like a house of cards. Remove one, and the house will collapse. Without it, disabled people will not be able to participate equally in society, as full citizens. The JCHR rightly recognises that much of the support is determined locally. We hope that local authorities and others will respond to the report’s recommendations and work with disabled people’s organisations to ensure that disabled people can fully exercise their right to independent living.” Go to http://www.radar.org.uk/news/news-release-disabled-people-must-be-given-right-to-support-says-disability-rights-uk/ "
4 Jul 2014 — A widow was horrified when a letter arrived for her late husband saying he had won his appeal against his sickness benefits being axed. He died of a heart attack in February this year. Yvonne, his wife of 23 years, claims the stress of losing his benefits, and of launching an appeal against the decision, caused his death. She told Department for Work and Pensions bosses Graham had died, but they still invited him to attend an appeal hearing - and wrote again a few days later to say he was eligible for Employment and Support Allowance for at least the next 24 months. Quote: "The 10,600 figure comes from this awful, impenetrably written Freedom of Information response, from July 2012. It says that "In total, between January 2011 and November 2011, some 10,600 claims ended and a date of death was recorded within six weeks of the claim end." But I've spoken to the DWP, and while that figure is correct, the "within six weeks" bit, bizarrely, does not mean "within the following six weeks": it means "within six weeks either side". What that means is that the large, presumably overwhelming, majority of those 10,600 people died, and then their claims ended because they were dead. It would be expected that the mortality rate amongst those on incapacity benefits recipients would be higher than that in the general population as some people receive incapacity benefits due to life-threatening conditions or terminal illness.Those in the Support Group receive unconditional support due to the nature of their illness, which can include degenerative conditions, terminal illness and severe disability. I asked if the DWP has any records of how many people did in fact die after their claim ended, but they said they didn't keep those figures. It would be absolutely amazing, though, if they made up more than the tiniest fraction of that 10,600 figure. The DWP spokeswoman was keen to say that the Big Issue has reported the issue properly: the deaths did occur "within six weeks" of the claim ending. I would say that any natural reading of that implies that the six weeks are after the death, but since the DWP's own document uses that language, they've got no one to blame for the misunderstanding but themselves. Nonetheless, the story here is not "10,600 people die right after they're told they're fit to work", but "the DWP's record-keeping system is efficient enough to stop paying people disability support within six weeks of them dying". Quote: "Interestingly, now that Atos are able to comment on the contract, (having walked away from it) this is exactly the issue they are keenest to clear up. So I'm sure they'll be very grateful for your public explanation Tom. How very arbitrary to write a blog explaining how thousands of people have not died as a direct result of government policies when it is incontrovertible that hundreds have at the very least. I can send you links to every last one of them if you like? Those "case studies" as you refer to them??? Coroners are confirming it all around the country. But the very fact this issue has made it anywhere near the pages of the Telegraph shows that even IDS fiercest allies will soon no longer be able to turn a blind eye to his numerous failures. Quote: "I went to a meeting with the DWP select commitee recently. and by Atos. The people wrongy signed off benefits, and left to starve. benefits were sanctioned, and he had no money to live on. in Parliament, the best David Cameron could do, was shrug his shoulders. and starved to death. At the time of his death, he weighed 5stone. Sounds like a failure Tom? The decision to cut people's benefits, was a contributing factor, if not a cause of these people's deaths. The legal aid changes have been criticised by members of the legal profession. Ministers are being urged not to restrict legal aid for disabled people wanting to challenge benefit decisions. A coalition of charities including Scope and Mind argues that limiting access to "vital" help in England and Wales would harm vulnerable people. Labour says the plans due to be debated by MPs later are "unprincipled". But the government insists the £2bn legal aid bill is unaffordable and help has to be targeted at the most serious cases and those most needing support. 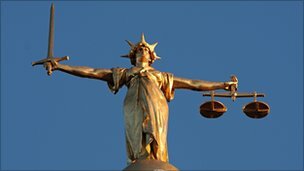 Ministers are looking to prune £350m from the civil legal aid budget by 2014-5 as part of cuts across government to reduce its deficit. Justice Secretary Ken Clarke has argued that the legal aid bill has spiralled in recent years and, with resources being squeezed across Whitehall, only cases where life or liberty are at stake should be routinely funded out of the public purse. It is thought there will be 500,000 fewer civil cases as a result. 'Serious impact' The 23 organisations, which also include Mencap, the RNIB and Leonard Cheshire, want MPs to back an amendment to the Legal Aid and Sentencing Bill - put forward by Lib Dem Tom Brake - reversing the decision when the proposed legislation is debated. The disability rights groups say the changes mean up to 80,000 people will no longer be able to get access to publicly funded legal advice to help them challenge benefit decisions. Campaigners say those affected will not be able to find legal help elsewhere and it could have a "serious impact" on their finances and peace of mind - making it harder for them to return to work in the future. Richard Hawkes Chief executive, Scope "Legal advice is vital for disabled people if they fall foul of poor decision-making, red tape or administrative error," Scope's chief executive Richard Hawkes said. "For welfare reform to work, disabled people have to get support to appeal decisions relating to their benefits, especially within a system where errors are commonplace. "Cutting legal aid in this area will make it harder for disabled people to get the right support and ultimately could drive more people further away from work." Citizens Advice has warned the plans could be counter-productive since the £16m in anticipated savings will be exceeded in the long-term by the costs to the state as peoples' problems "spiral out of control". 'Cuts targeted' The Ministry of Justice said the move was necessary as part of plans to scale back the legal aid bill. "We have one of the most expensive legal aid systems in the world which in the current financial climate we just cannot continue to afford," a spokeswoman said. The review of legal aid, she added, would ensure it was "targeted at the most serious cases and those who most need legal support". "Legal Aid will continue to be available in many types of cases including where someone is at risk of serious violence, losing their liberty or their home, or where children may be taken into care as well as for mental health, community care work, and child abduction." 'Economically unsound' But Labour said the proposals would limit access to justice to those who could afford it. "Receiving legal advice to prevent escalating housing, welfare and debt problems has been shown to save the taxpayer money further down the line, demonstrating just how economically unsound as well as unprincipled the plans are," shadow justice secretary Sadiq Khan said. "Savings must be made to bring the legal aid budget down but it should be through other areas such as retendering criminal law contracts, not by restricting access to legal aid for those in greatest need." There's a lovely brand new Electro-Convulsive Therapy ("Suite"), in Antelope House The Royal South Hampshire Hospital's new psychiatric in-patient unit (a unit which is the most de-humanised place of incarceration I have ever visited, no provision is made for the emotional being, it is utterly denuded of compassion -you'd be better off not telling them you're crazy and going to prison instead-).